Article by Andrew Spence – The Lead. A Barossa-based company specialising in turning wine industry waste into value-add products is helping to drive Australia’s booming craft spirits sector. Tarac Technologies is Australia’s largest producer of high-quality grape spirit, which it sells back to the wine industry or to beverage producers around the globe. Established in 1930, Tarac has also become a driving force behind the booming craft spirits industry, and is used by many of the country’s more than 50 boutique distillers. 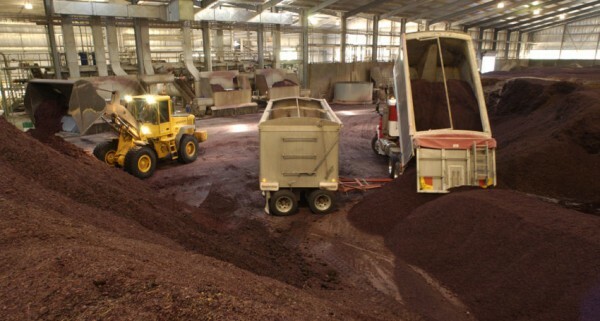 The company processes 40 million litres of distillation wine and lees and more than 120,000 tonnes of grape marc at its sites in Nuriootpa, Berri and Griffith to ultimately produce about 10 million litres of grape spirit a year. Chief executive officer Jeremy Blanks said high-strength grape alcohol was a core product across a number of styles at Tarac, including neutral grape spirit, brandy spirit, fortifying spirit, matured brandy and industrial spirit. A taste for premium spirits is driving growth by value in Australia as consumers look to high-quality and craft products. Despite their increasing popularity, locally owned and produced spirit brands, led by gin and whisky, account for less than 5 per cent of the market. One of the latest distillers to release a gin featuring Tarac spirit is Barossa Distilling Company, which launched the wine region’s first craft gin in July. Born out of winery Soul Growers, Barossa Distilling Company’s Generations Gin uses Tarac grape spirit base made from marc recycled from local wineries including Soul Growers.